Once students are in your program, it’s vital that you retain them. Retention starts with our very beginning-level students and it is vital that we focus on keeping them once they have started in the program. There are five pillars to effective music ensemble student retention and I offer an acronym to help remember them by. I call this the S.M.A.R.T. approach to music student student retention. These aren’t the actual activities you’ll plan as part of your retention tactics (we will look at those separately), these are the underlying strategies to guide all of your retention efforts. Today’s young people have so many challenges; the most important thing we can do is to provide our students with successful experiences. They want to feel good about their efforts and what is being accomplished. One place where they can really feel good about themselves is in our music rooms so keep success in mind as you plan your recruitment projects. Modeling is another approach to keep in mind. Let me explain what I mean. When I was in elementary school and even more so when I was in junior high school – I could not wait to meet kids who were older than I was. When older students acknowledged me in some way, it was a big deal simply because they were older! We need to remember and key-in on this. Most younger kids want to be liked and acknowledged by older students, so find opportunities for high schoolers to inspire – and model success for – their younger peers. This can be extremely powerful and something most directors don’t use to full advantage. What’s more, when we ask high school students – or even our older band students in the same building – to participate in some kind of a modeling activity, they really enjoy it! Many students welcome an opportunity to develop their leadership skills through positive modeling. Of course, one of the most important approaches to the recruitment of beginners is ensuring that these youngest musicians are actively involved in music-making. 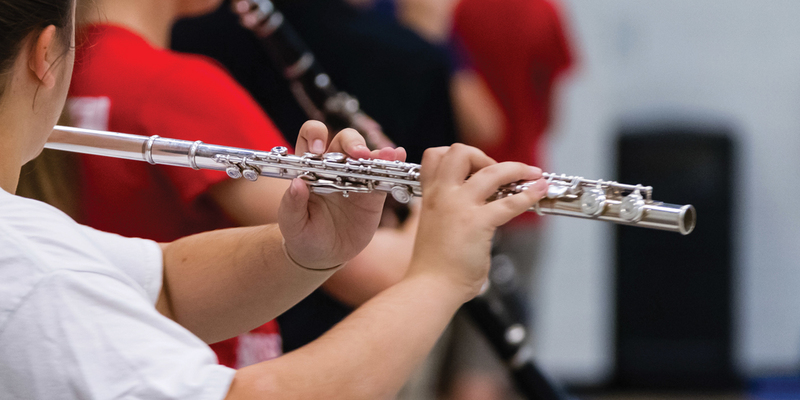 Consider scheduling their first concert as early as the sixth or seventh week of school. A performance early on ensures that they will experience success performing music in public in front of an excited and supportive audience of family members. Remember, the point of an early “informance” is to show how much has been learned in a short amount of time as well as generate enthusiasm for performing on the part of the students. Plan to give your beginners successful opportunities to play as early as possible. We need to prompt them to say what being in an ensemble means to them, and to share their insights not only with students who may wish to join in the future, but also with our current students. Sometimes it helps to be reminded how music-making is making a difference in our lives, because it does. Keep in mind that students want to be involved. Not only do they want to be a part of the music-making, they also want to be a part of the school. They want to be engaged, they want to be recognized for what they’re doing, and this is all related to the total picture of what your music program brings to the life of each student. As you review all of your retention ideas and begin to implement your plans, keep the S.M.A.R.T. approach to retention in mind. They will help make your retention activities even more effective. A veteran of 36 years in public school music education, Marcia Neel has directed successful secondary music programs in Connecticut, Ohio, Massachusetts, and Nevada. Lead author of the instrumental and vocal method series ¡Simplemente Mariachi!, she has also authored and edited an array of articles and publications and is an in-demand conference presenter. 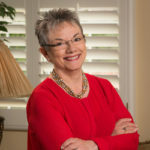 Marcia is president of Music Education Consultants, Inc., a consortium of music education professionals which works with a variety of educational organizations, arts associations, and school districts to foster the growth and breadth of standards-based, music education programs. She also serves as education advisor to the Music Achievement Council, a 501(c)(6) organization whose purpose is to enable more students to begin and continue in instrumental music programs through effective professional development programs for music educators. In 2016, Neel was named senior director of education for the Band and Orchestral Division of Yamaha Corporation of America and recently accepted a position on the Board of Directors of the Percussive Arts Society.